This sample of cylindrite is displayed in the Smithsonian Museum of Natural History. 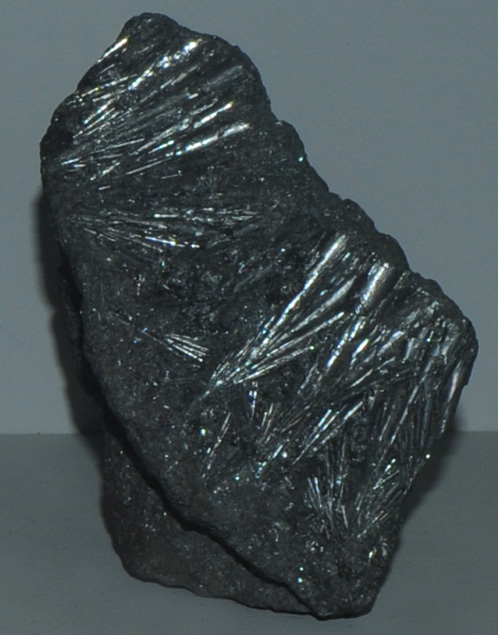 Cylindrite is an sulfide mineral of lead, tin, iron and antimony with the composition FePb3Sn4Sb2S14 . This sample is about 6x11 cm and is from Santa Cruz mine, Poopo, Bolivia.